Where: Batumi is a seaside city on the Black Sea coast and capital of Adjara, an autonomous republic in southwest Georgia. Batumi serves as an important port and a commercial center. MRMU ltd has been involved with a number of developments in Georgia over the last 7 years, including a data centre in Tblisi, and felt that there was an opportunity for a ventures catering to the ever increasing tourist market in Batumi. This development site is 1.8 hectares in size and is located on the north corner of the city of Batumi. The Great Caucasus Mountains form the far backdrop, whilst the Black Sea is 2.1km to the front of the site by road. It is surrounded by woodland and a natural stream runs through it. 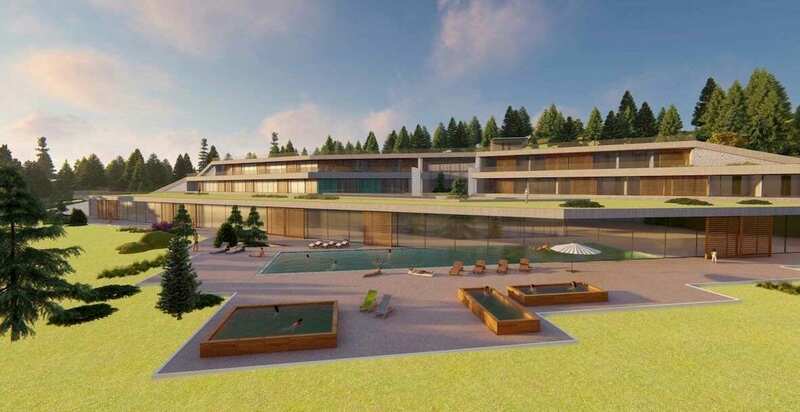 Batumi Wellness Center will be a thermal bath destination, which showcases the natural resources of the area. Sulfur water was discovered in the region over a century ago and healing baths have been a draw for tourists ever since then. The proposed center will offer top quality hotel accommodation and facilities based around indoor and outdoor thermal pools. There will also be hot pools, spa facilities, a fitness centre, tennis courts and a restaurant and bar. The whole development is set in the hillside and has been designed to blend beautifully with the landscape, making the most of the stunning setting. The project is currently in the early stages of the planning applications process. It is hoped planning approval will be secured in 2018.